What to do when dementia patient refuses care. How to get an Alzheimer's Patient to cooperate. In order to get an Alzheimer's Patient to cooperate you need to make some changes in the way you communicate. If you continue to try and explain why you want cooperation you are usually using too many words. Trying to convince a person living with dementia rarely works. Instead of convincing you need to learn how to use fewer words; and, how to guide your loved one. Here are 7 good articles that should help you accomplish this mission. Getting a person living with Alzheimer's or dementia to take a shower or bath is one of the most common problems we face as caregivers. Usually we become frustrated and this leads to stress and anxiety on the part of the caregiver and loved one. No matter what explanation or cajoling I tried with my mom, Dotty, it usually lead to anger on her part. I soon realized that if I kept trying to do the same thing over and over it was not never going to work. I finally realized that I could no longer communicate with her in the way I had before Alzheimer's set in. In this article I describe what I did do to get her to cooperate and take a shower. Alzheimer's patient don't perceive water the way that we do. As a result, they don't like it. I actually learned this while taking my mother to the pool. I noticed that she was reluctant to step into the water, and reluctant to take each step down into the water. She was looking down, but she could not see the next step. Or if she did, she had a look on her face like it was a 100 foot drop. I started thinking about this more and more. I noticed that my mom seemed disconcerted when the water from the shower hit her in the head. Almost like she was being attacked. I was also having a problem getting her to drink water. Ever had that problem? I did notice that she was willing to drink coffee. I came to the simple conclusion that water was invisible to her brain. She just didn't perceive it the way you and I do. That lead to this article which can really help you with several of the problems that you might be facing each day. This one of the biggest problems I ever faced. My mother kept getting constipated and this lead to all kinds of anxiety and stress. One time we reached that point where she was so clogged up I thought I was going to have to take her to the emergency room. Fortunately, I found a solution. A solution that can best be described as an - explosive solution. I finally decided that I needed to find a permanent solution to this problem and I did. It worked almost every day. On a side note let me mention that many medications can lead to constipation and bowel movement problems. You really need to get out in front of this problem - if not you might go crazy. Once I figured it out I wrote a series of articles on the problem including this one. This is another one that can drive you crazy - repetitive questions. Caregivers vent and complain about this all the time. Here is something that really helped me. I soon got it straight in my head that my mom wouldn't be asking me the same question over and over is she could remember she already had. I finally accepted that - it was not her fault. I also realized that by complaining about this I was making it about me and how I felt, not about my mom. Point in case, how do you think you would feel if you couldn't remember what you just said or asked. Like most of the problems we face you have to have empathy for how your loved on might be feeling. I finally realized I had to change to solve this problem. Think about it - my mom was not going to change because she couldn't. That lead to this article that I believe can be really helpful. I solved this problem by having my mom brush with me at the kitchen sink. In other words, mirror what I was doing. It worked. Fortunately for readers of the Alzheimer's Reading Room, our expert Dr. Rita Jablonski received a grant from the Brookdale Foundation to study this problem. She shared her mouth care strategies for people living with dementia in this article. This one is a big problem not only at home; but also, for dementia professionals working in memory care facilities. I encounter this problem every where I do. Fortunately, there is a good solution. This problem can also be exasperating for caregivers. And like many of the solutions I discuss here in the Alzheimer's Reading Room begging, trying to convince, and acting like a bad parent don't work. You really can't reason with your loved one on this one, instead you have to learn how to become a guide. I finally figured out a strategy that works and I wrote about it in this article. I let this one drive me crazy for a couple of years. I finally reached the point where I realized if I kept doing what I was doing I was going to get the same result. I finally realized I was acting like a bad parent when my mom refused to cooperate. Can you believe we averaged 27 visits to a doctor or a specialist each year? I finally realized what I was doing was never going to work, and once I came up with the solution I wrote about here. Are you at wits end? Having the same problems over and over? Are you ready to try something new? Why not familiarize yourself with our Alzheimer's Knowledge Base. We have over 5,000 articles, and over the last 8 years I have been compiling solutions to problems to help persons living with Alzheimer's and their caregivers to live a better life. Why not check it out? Here are some more articles that might help you improve you caregiver life. Here a few topics searches that might help you improve your day. 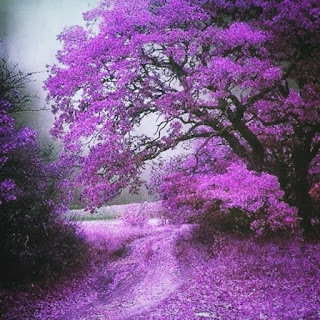 The Alzheimer’s Reading Room Knowledge Base is considered to be the highest quality, deepest collection, of information on Alzheimer’s and dementia in the world.